Oh Christmas Westie . 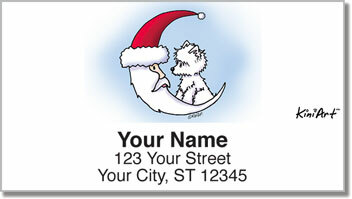 . .
Now you can get art for the most wonderful of the year featuring the most wonderful dog of the year! 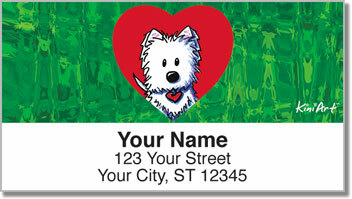 For any lover of West Highland Terriers, these Christmas Westie Address Labels are just the thing for celebrating the holidays in style. 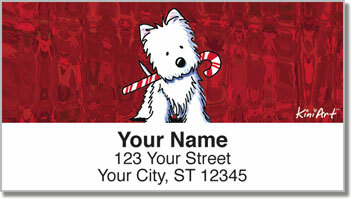 From the look on their faces, man's best friend is just begging to help you with the shopping this year. Perfect for sending gifts, Christmas cards, and other packages, you're sure to save lots of time, not to mention giving yourself peace of mind. 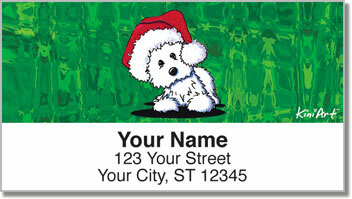 Get into the spirit of the season and order these adorable labels today!